English for Economics and Business is a textbook for students studying Economics, Business Administration, Marketing, Accounting and Finance. It aims at introducing students to the scientific language of the above fields, encompassing many aspects that range from macroeconomics to human resources, purchasing and corporate social responsibility. 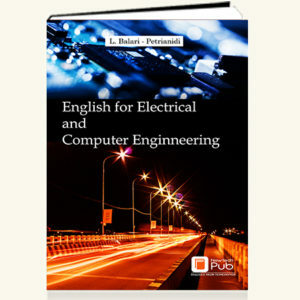 It contains a variety of scientific texts with comprehension, vocabulary and language development exercises, cover letter and CV/resume samples, tips for writing technical reports and presentations as well as issues of grammar with exercises. At the end of the course students are expected to be familiar with the specific scientific terminology and thus better communicate in English in their future professions.